Ideal for any occasion or just because. 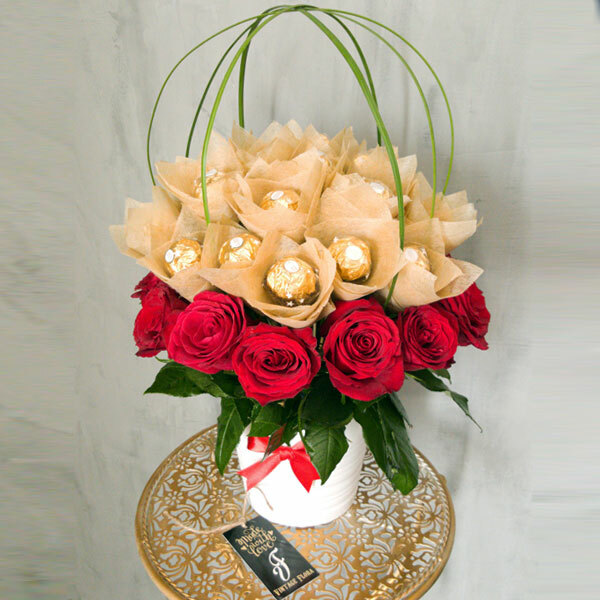 Gorgeous in every way, a clear expression of your love and affection through Ferrero Chocolates and Red Roses. Purchase this product now and earn 35 Vintage Rewards!